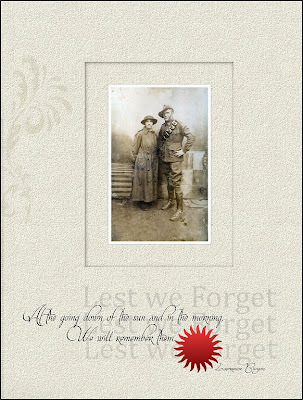 This Saturday, 25th April is a day of remembrance in Australia and New Zealand , when we remember those who served in various conflicts but particularly those members of the Australian and New Zealand Army Corps of World War I where our relative casualties were so high. I am hoping that you find this word art useful for your album pages or other projects. It is in transparent .png format at 300 dpi. Thank you for offering this to us.